The three-party deal - signed by the RSF with the Banbury-based squad and its partner team Jota Sport - also hands the 2015 Formula 3 European Championship race winner two LMP2 drives. Dennis, will make his endurance racing debut in Jota Sport's Gibson 015S-Nissan LMP2 car at the Six Hours of Spa round in May followed by the 24 Hours of Le Mans race in June with the team's ELMS squad. "This is a fantastic opportunity for me - an absolute win-win situation for sure," said Dennis who was second fastest overall on day two of the recent GP3 test in Abu Dhabi with Arden. "Not only do I get to take another step up the single-seater ladder with one of the top teams in GP3 but I also get my first taste of endurance racing with a Le Mans LMP2 class-winning team as well. 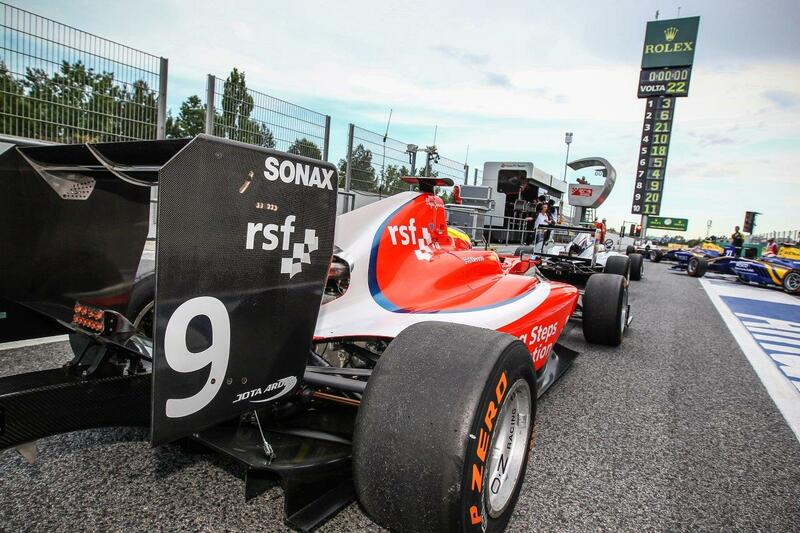 "I can't thank the RSF, Arden and Jota Sport enough for setting this up for me," the multiple single-seater and kart champion added. "The chances it gives me to showcase what I'm capable of in front of probably the two biggest audiences in motorsport will be invaluable as I progress my career." RSF founder Graham Sharp said the deal with Arden and Jota would open up another avenue for Dennis which was extremely important at this stage in his career. "It also aligns perfectly with the Foundation's main objective which is to equip our drivers with the necessary experience to actually earn a living from motorsport after they graduate from us," he added. Speaking on behalf of the two teams, Arden's general manager Julian Rouse, said: "This programme for Jake is exactly what Arden and Jota have joined together to create and we are delighted that our partnership is benefiting a driver of his calibre. "There is a long term plan for Jake that we are all working towards and it is great that the Racing Steps Foundation shares the same vision as us. We are very thankful of that. "Judging by how well Jake has already integrated into the team, together with his performance on track in Abu Dhabi, it is going to be an exciting season ahead."